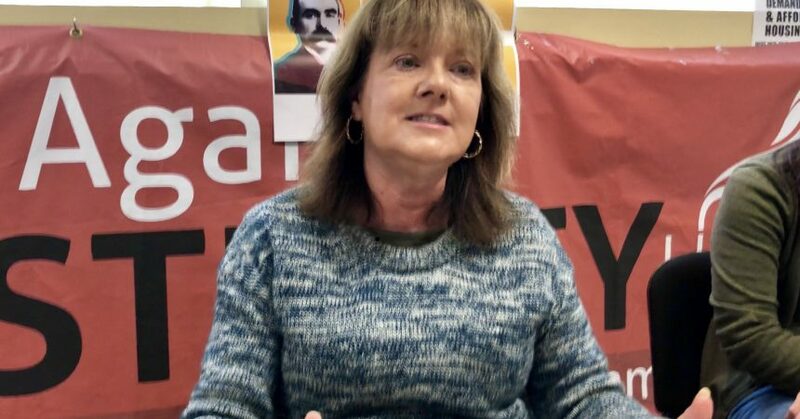 Jane Donnelly, Human Rights Officer of Atheist Ireland, made the following speech today at the Be The Change conference in Waterford, organised by Waterford People Before Profit, on Saturday 22 September 2018. Ireland is becoming more secular, because the developed world is becoming more secular. Around the world, as people move away from survival values, societies move away from religious values. Ireland is no different. The Catholic Church no longer controls the Irish people. We have moved on. Now the State has to catch up. The State is slowly recognising this, with the recent referendums on marriage equality and abortion rights, and the coming referendum on the blasphemy law. But we need to move further and faster than this. We need a secular constitution, secular parliament, secular government, secular schools, and secular healthcare. When Atheist Ireland was founded ten years ago, atheism and secularism were seen as dirty words in Irish politics. Our first challenge was to normalise the use of these words in the Dail and in the media. This has now happened. Today, when you hear the word atheist in the Oireachtas, it is likely to be from a TD quoting from an Atheist Ireland briefing paper, and when you hear the word secularism, it is no longer automatically preceded by the word aggressive. But normalising the language is only step one, and the limited legal changes so far are only step one and a half. On the same day that we will vote to remove the blasphemy law, we will vote in a Presidential election that excludes conscientious atheists, because of the religious oath. Here are the legal changes that we need to bring about separation of church and state in Ireland. Firstly, we need a secular constitution. Remove the requirement for the President, judges and Council of State to swear a religious oath, including asking God to direct and sustain them (12, 31, 34), and replace these with a single neutral declaration that reveals no information about the person’s religious beliefs. Remove the references to all authority coming from the Holy Trinity and ‘our’ obligations to ‘our’ divine Lord Jesus Christ (preamble); powers of government deriving under God from the people (6.1); the homage of public worship being due to Almighty God and the State holding his name in reverence (44.1); and the glory of God (last line). Amend the clause on equality before the law to include the principle of non-discrimination (40.1). Rewrite the Article on education to explicitly provide for State secular education, and remove the duty of parents to provide for religious education of their children (42). Rewrite or remove other Articles influenced by Roman Catholicism, such as women and mothers having a life and duties in the home (41.2). Secondly, we need a secular parliament. End the prayer that starts each parliamentary day which asks the Christian God to direct every action, word and work of our parliamentarians. Examine all existing and future laws to ensure that there is one law for all, based on rights and compassion and not religious doctrine. Amend the Defamation Act 2009 to remove the crime of blasphemy, after the referendum on October 26th. Amend the Employment Equality Act 1998 and Equal Status Act 2000, which, despite recent changes, still allow churches, schools, hospitals and training colleges to discriminate on the grounds of religion. Amend the Charities Act 2009, which includes the advancement of religion as a charitable purpose; and presumes that a gift for the advancement of religion is of public benefit. Amend the Juries Act 1976, which exempts priests and religious ministers from jury duty. Thirdly, we need secular government. Ensure that neither the Government, nor any State institutions, nor any State-funded bodies, give preferential treatment or access to any person or organisation or category of people, on the basis of their religious or nonreligious beliefs. Ensure that all aspects of Government are conducted consistently with the State’s international obligations on human and civil and other personal rights. Stop treating the Holy See/Vatican as a State. It is the headquarters of a world religion, and it does not have the legal attributes of a real State. Remove the requirement for persons in court to choose between a religious or nonreligious oath, and replace these with a single neutral declaration that reveals no information about the person’s beliefs. Fourthly, we need secular schools. Establish a secular State education system and ensure, as raised by the UN Human Rights Committee, that nondenominational primary schools are widely available. Ensure that all schools convey all parts of the curriculum, including religious education, in an ‘objective, critical and pluralistic manner’, as ruled by the European Court of Human Rights. Respect the European Court of Human Rights ruling that the State cannot absolve itself from responsibility for human rights violations by delegating its responsibilities to private bodies. Atheist Ireland campaigns for secular schools along with the Evangelical Alliance of Ireland and the Ahmadiyya Muslim Community of Ireland. We each have very different world views, but the essence of secularism is that, despite this, we can work together to separate church and state. Together, we will soon be meeting the Department of Education to discuss the recent directive to ETB schools to give students an alternative timetabled subject to religion. The ETBs and the teachers unions are refusing to implement this directive, and by doing this they are breaching our constitutional and human rights. Parents and students should not accept the excuses being made by the ETBs and the teachers unions. You can read why on our secular schools website, teachdontpreach.ie. Despite Atheist Ireland’s criticism of the Department of Education and various Ministers for Education over the years, we believe that they are genuinely trying to change the culture of these ETB schools. But we shouldn’t even have to fight this particular battle. The ETB schools are supposed to be the State-run alternative to denominational schools. The bigger battle remains, which is to remove the control of the Catholic Church over 90% of our primary schools. And fifthly, we need secular healthcare. Establish a secular State healthcare system where decisions are based on compassion, human rights and the medical needs of patients, and not on religious ethics. Remove the traditional privileges that religious bodies have in healthcare service provision and decision-making. I want to end by highlighting the importance of campaigning for a Yes vote in the referendum on blasphemy on October 26th. Atheist Ireland supports the right to freedom of religion or belief, the right to freedom of speech, and the separation of church and State. The Irish blasphemy law infringes all of these principles. It has no place in a modern democratic republic. The Irish blasphemy law is harmful. In Ireland, it has caused media outlets to self-censor themselves. Globally, it has emboldened States with more authoritarian blasphemy laws, who have cited the Irish law at the UN to support theirs. We agree with the many bodies that have called for repeal of the Irish blasphemy law, from the 1991 Law reform Commission, the 1996 Constitution Review Group, and the 2008 All-Party Committee on the Constitution, to the United Nations Human Rights Committee and the Council of Europe’s Venice Commission. Many people think this referendum is an easy win, but complacency is a great way to lose a referendum. I’ll be happy to discuss our campaign on this issue with you later, and we hope we can all work together over the next five weeks to ensure a Yes vote.